As the hottest days of summer approach and the temperatures outside begin to rise, so might your energy costs. Although you don’t want to feel uncomfortable at home, you also don’t want to spend hundreds of dollars each month during the summer on cooling costs. The energy used to cool a home during the summer can often account for half of the monthly electric bills. The good news is there are several simple ways to reduce summer cooling costs and still stay comfortable. Here are a few tips to help keep your energy costs under control this summer. Regardless of how energy-efficient your air conditioning system is, if it isn’t properly maintained, it won’t help to reduce summer cooling costs. Replacing the filter once a month will lower the energy consumption by about 5-15%. If you have central air, make sure the floor registers are free from dirt, dust, and debris, and that there isn’t any furniture covering the registers. Routinely check the outside unit to make sure it is clear of dirt and debris (leaves and grass) and make sure there aren’t any weeds growing within 2-feet of the condenser. Using a ceiling fan and/or other circulating fans can help reduce summer cooling costs and make you feel about 6 degrees cooler by way of the wind-chill effect. A fan doesn’t necessarily cool the room, but it creates the illusion of cooling so it will make you more comfortable. Using fans can also help save you about 40% on electricity. When using the ceiling fan, make sure the air is being pushed downward by setting it counterclockwise. To prevent the indoor temperature from rising, avoid doing things that generate a lot of heat, such as using the oven, dishwasher, and clothes dryer. Instead, consider grilling outside, using a slow cooker, washing dishes by hand, and letting clothes dry outdoors on a clothesline. Or, you can do these tasks after dark when the outside temperatures have dropped. Remember to use the bathroom exhaust fan when showering to help ventilate and remove the excess heat and humidity. One of the easiest ways to reduce summer cooling costs is by preventing solar heat from getting in the house. 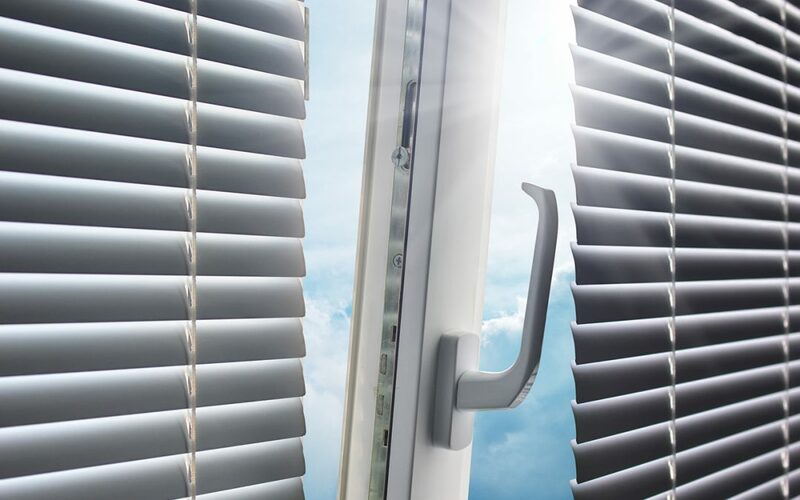 Keeping the curtains, shades, and blinds closed during the day, especially on south-facing windows, will prevent sunlight from heating up your house. One of the most common mistakes many people make is not adjusting their thermostat during the summer, yet, adjusting it by only a couple of degrees can make a significant difference. Experts typically recommend to set it at 76 degrees while you are home and 78 degrees while you are away. The easiest solution to maintaining an ideal temperature is to install a programmable thermostat, which will adjust the settings for you. Although your primary concerns at the moment are reducing summer cooling costs, winter will be here before you know it, so now is a perfect time to evaluate the insulation and ductwork. Making sure the attic is properly insulated and sealed and that the ductwork is clean and in good condition will help keep both your cooling and your heating costs down. Knight’s Shield Home Inspections serves home buyers, home sellers, and homeowners in Central Georgia with home inspection services. Contact us to schedule your appointment.